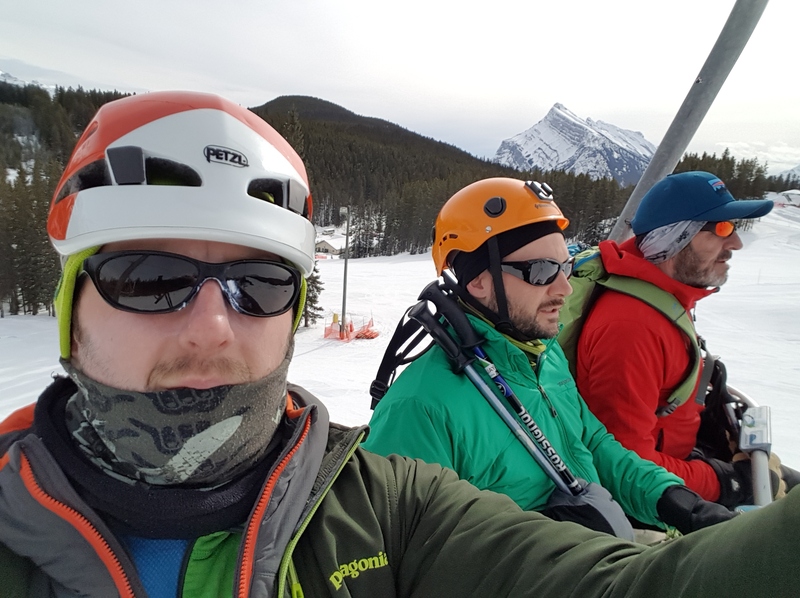 Since our climbing have come to an end (avalanche is still high/high/high), but we still have few days to spare, we decided to give skiing a try. The last time I had skies on must have been 2011, so by no means I know how to ski. I did get few hours of lessons back then I learned how to stop (plow FTW) and maybe turn. It’s been a while though. Lar is in similar situation, doing only few days of it in his life. 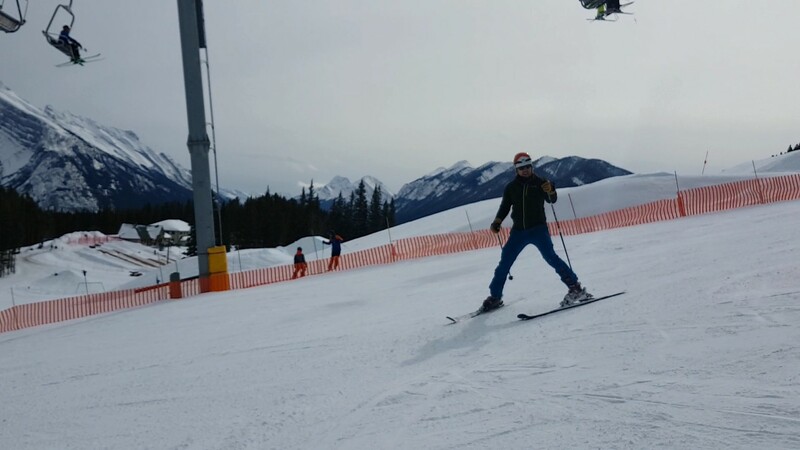 PG is at least intermediate skier, having done it for up to few months at time during his time in the Alps. 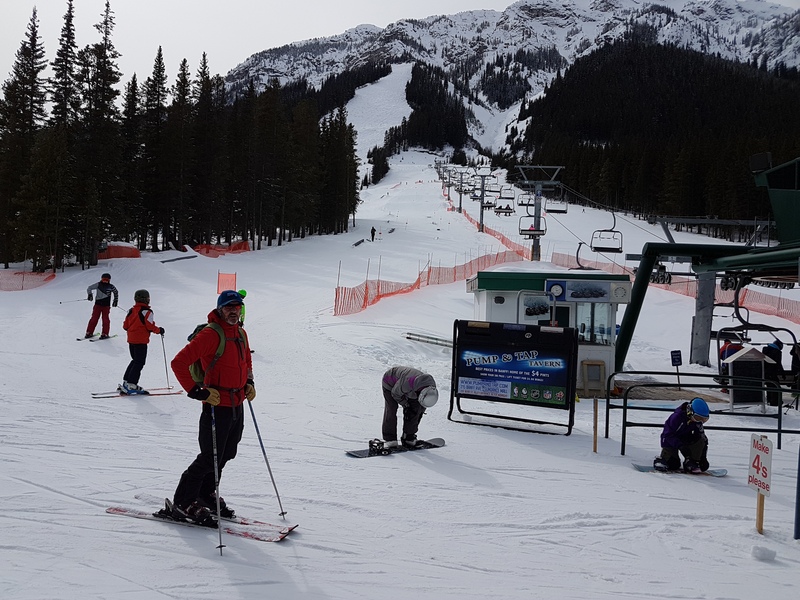 Upon doing some research we opted up for Norquay ski area in Banff. 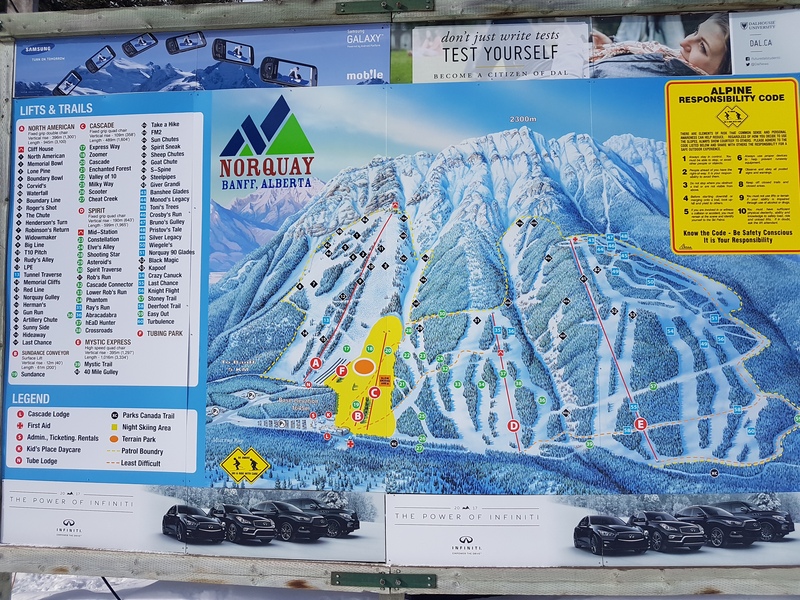 It is close by and reasonably priced (working out for total of ~70euro for 1/2 day pass [12 to 4pm) incl gear rental. I must say that facility is pretty well organized. Staff is professional, well informed and very friendly. It took no more than 30 mins to equip us with gear and we were ready to hit that lift in our fashionable climbing clothing & helmets. And it was a mistake… Should have started with baby slope area and make sure that I actually remembered the necessary skills (most importantly how to stop). The first 30 minutes were a real eye opener. I fell at least 3 times on first 30 meters. So have Lar. The difference was I was actually able to get up and continue, while he twisted his knee in such a way that he couldn’t really continue (he’s ok, just a bit sore). I must say that I initially definitely overestimated my ability to be in control, but it only got better with time. As I acquainted myself with the ground few more times trying to remember what I was doing, PG went to explore the area a bit more, while Lar confined himself to the ‘magic carpet’ practice area. PG & Piste 18 in the background, with the lift to the right. After a while though I was back into my old skill-set of being in control and could enjoy doing laps. It was never more than going quite slowly in full plow stance, occasionally turning, but I enjoyed it. We actually shot few short videos, so when I got more time I’ll stitch them into some sort of comprehensible video. Watch this space.